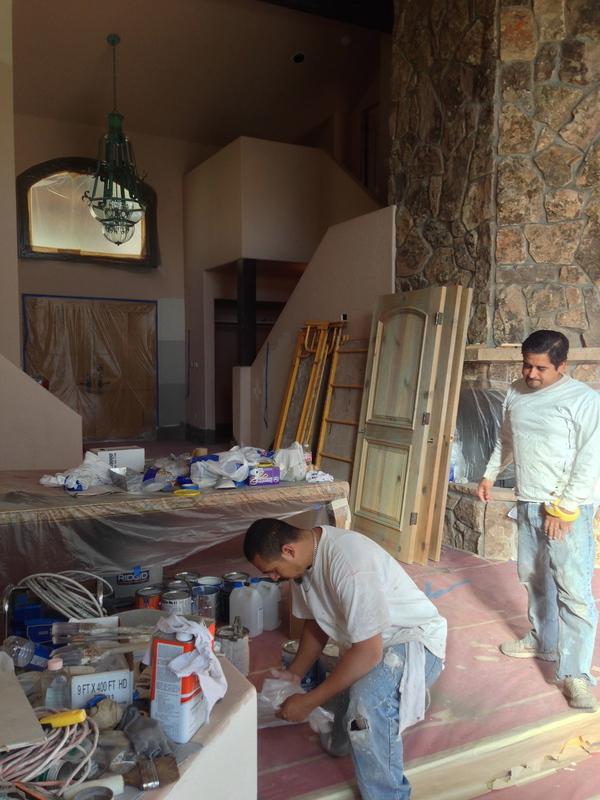 The renovation of the Durango home is continuing today. The painters take Saturday's off but are back hard at work on Sunday. They have begun to remove the paper and film covering the windows and now the amazing views are back in full force. They are also masking off all the interior trim as they begin to paint more and more of the walls. The folks at Sherwin Williams have decided now that we are okay. Not quite as bad as they may have feared "you folks being from Texas and all". While it looks a little like bombs have gone off, great progress has actually been made. That's one of the things about large scale painting projects. They look a bit mad, and then "bang" the whole thing suddenly snaps together. It happens with flooring too. All the backgrounds can be complete but until the floors go in, everything looks a bit off. One of the great things here is that the floors are already done, so all we have do is remove the hundreds of square yards of rosin paper that have been used to protect all the surfaces. We are going to try some experiments on the interior of the front door on Monday as well. The Golden Oak finish is too pedestrian for the new look of the house. We will also be putting a new protective coating on the exterior. It is a custom art door which looks much cooler than it sounds. There is a carving of mountains and forests on the outside. 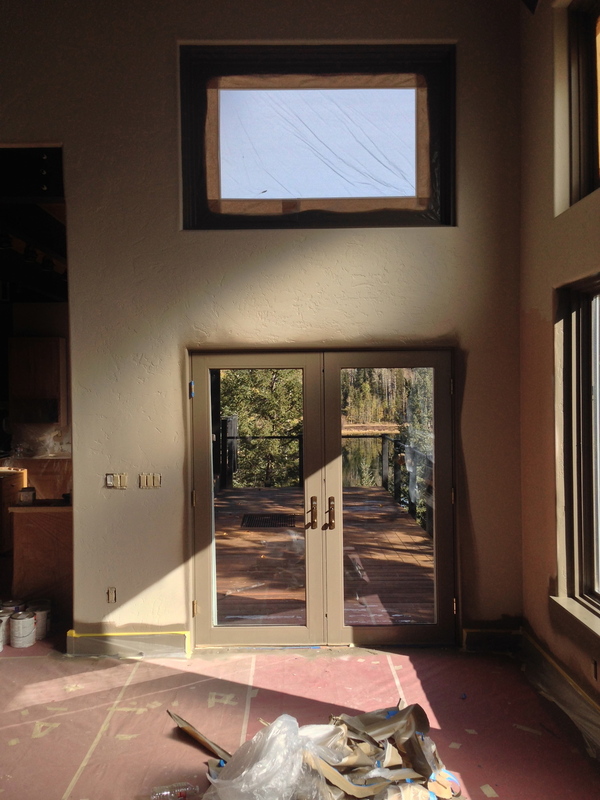 The finish is pretty much gone and the threshold is totally worn through to the wood. But it is an easy fix. More demolition of cabinetry in the Kitchen on Monday and of course, the painting continues. I also get to venture out into the local shopping areas to scout rugs, window coverings and see what kind of resources we have here for appliances. More soon! Durango Renovation...It's Coming Right Along!